Mr. Payom Chinnawong Secretary General of the Office of the Private Education Commission. 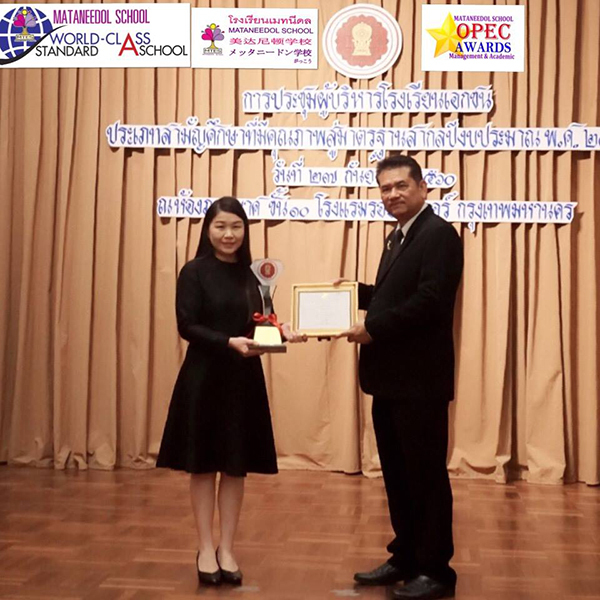 Congratulations to Mataneedol School for being 1 in 15 private schools in the country to be awarded this honor. It has brought great joy to both the Thai and Foreign educational team at Mataneedol and our community in Khon Kaen.